Camping is not complete without a nice, warm campfire to gather around and share stories or roast some s’mores. Or sometimes, a campfire may be extremely vital for survival when you are going on a type of ‘jungle adventure’ out in the woods somewhere or during a long trek up some mountains. This is why having an emergency fire starter, like a magnesium block is an important tool to carry around in your backpack. 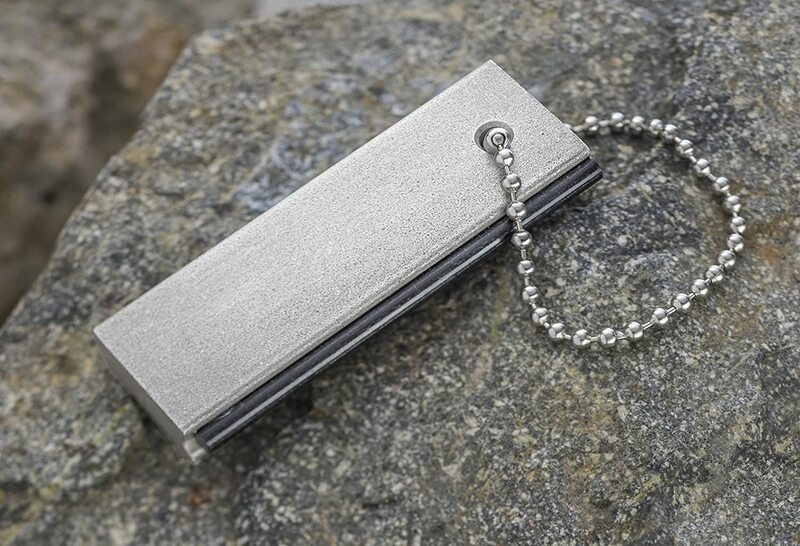 Knowing how to use a magnesium fire starter is very important to anyone who is going out on a camping adventure. It may seem difficult but you don’t need to feel intimidated because it is a skill that you can easily learn and it is not as difficult as it may seem. You can buy magnesium online or find them in any camping/adventure stores. It comes either as a block or in powdered form. You can find this in any camping shops or online. It is a safer tool to carry around while camping unlike a lighter that contains gas and can run out. It is usually made of some kind of metal and when it is scraped with a rough surface, creates sparks. You can actually find a magnesium fire starter tool that has magnesium that you can scrape off on one side and flint on another. That way, you only need to bring that one tool instead of two. You can also find these in basically any camping/adventure shops or online. This is what I suggest you look for and get instead. Use the things that you can find in the depending on where you are, such as dead wood, dried leaves, coconut husks, dried grass and things like that. You need to gather a good amount of both tinder and kindling to make a successful fire. Make sure that what you collect is completely dry or else it will be difficult to start and maintain the fire. When collecting your tinder, try not to use hardwoods, as they will take a lot longer to burn up. You may be tempted to use some papers lying around that you brought but don’t use it. It burns up too quickly and you won’t be able to maintain the fire. For your kindling, hardwoods are better. You can also use small branches or twigs. Your kindling is what will keep your fire going once the tinder has all burnt up. This step is actually optional in the sense that you can do it slowly after your tinder has caught fire. Although, building a structure beforehand is better for me so you won’t panic when the fire from the tinder is starting to go out. Your structure can take the form of a teepee, a lean-to or a type of cabin. A teepee is the simplest one for me. Make sure you leave an opening to place your tinder inside. When your structure is built, keep the tinder as close to it as possible. The next thing to do is use your magnesium. If you got the block or the dual tool, use your knife to scrape out some magnesium into your pile of tinder. Be generous and scrape out a good amount. If you have magnesium in powdered form, scatter a good amount as well around your tinder. Get your flint rod/stone ready. If you have the emergency dual magnesium/flint tool, flip it over from the side of the magnesium to the side of the flint. Using your knife, multi-tool or metal blade, strike or quickly scrape the flint forward into the tinder until sparks start to come out. Another way you can do it is to hold the blade stationary and scrape the flint towards you. When your tinder has caught fire, move it into your structure or slowly start adding your kindling over it. Remember to constantly blow it lightly to keep the fire going. When your fire gets bigger, you can start adding larger twigs and sticks, but take it slow and don’t rush or you may completely smother your fire and it will go out. 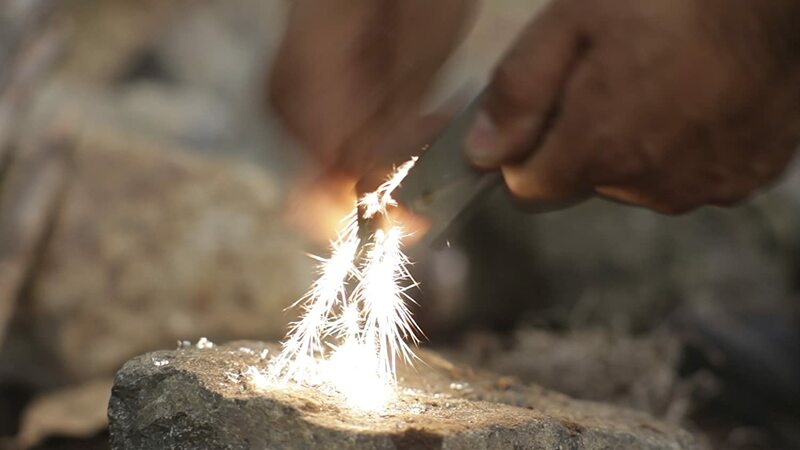 Using a magnesium fire starter may seem difficult and maybe almost impossible, but with a little practice it can be done and will become easy. Knowing this skill is very important for not only those who enjoy camping or going on adventures, but for everyone as well. Knowing how to create fire can be the key to your survival in cases you get lost or stranded somewhere so take the time to learn and practice. Did you learn something new today? If you enjoyed this tutorial, drop some comments below. If you have other tricks to start a fire, feel free to share them as well. If you know someone who needs to learn this valuable skill, share this article to them too.